The ADC (Analog-to-Digital Converter) Expansion allows the user to read and interpret analog voltage, effectively giving the Omega analog inputs. The Expansion has 4 input channels, each with a resolution of 16 bits and a maximum of 860 samples per second. With the ADC Expansion, a whole world of analog sensors is now open to you and your Omega projects. The ADC Expansion has 4 input channels, they’re available on the header as well as the grove connectors. 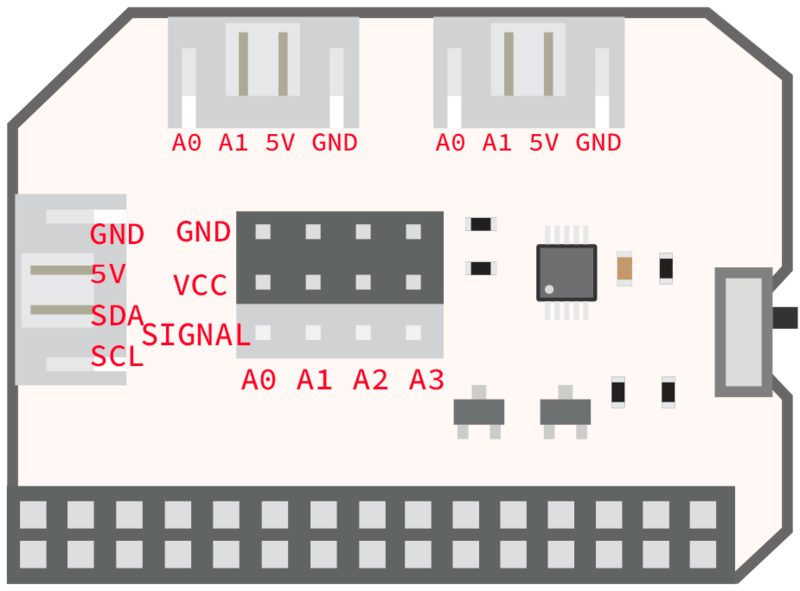 It’s important to note that each channel should be connected to an input source through either the header or the Grove connector. 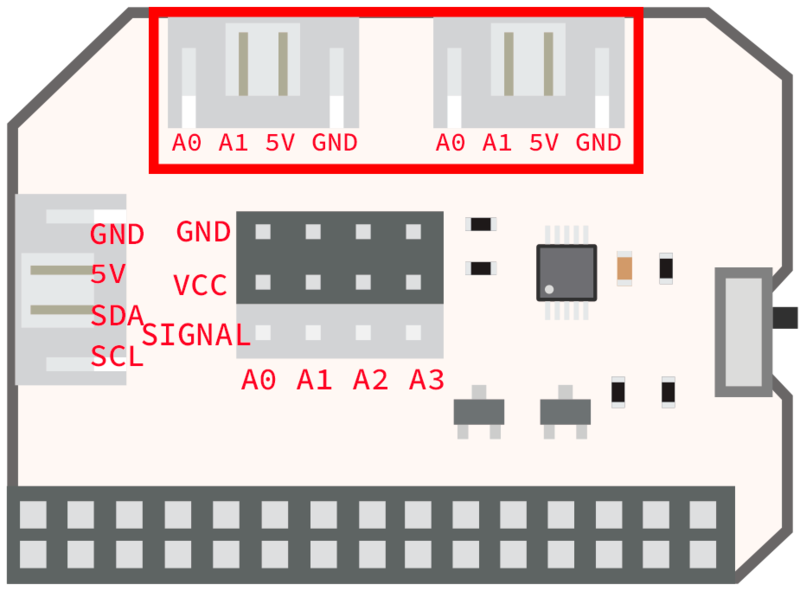 Input channels are available on the female header on the board, along with 5V power and ground headers, to power the sensors. Make sure to connect the sensors correctly - connect 5V from the sensor to the VCC on the female input and same with GND and Signal connectors. 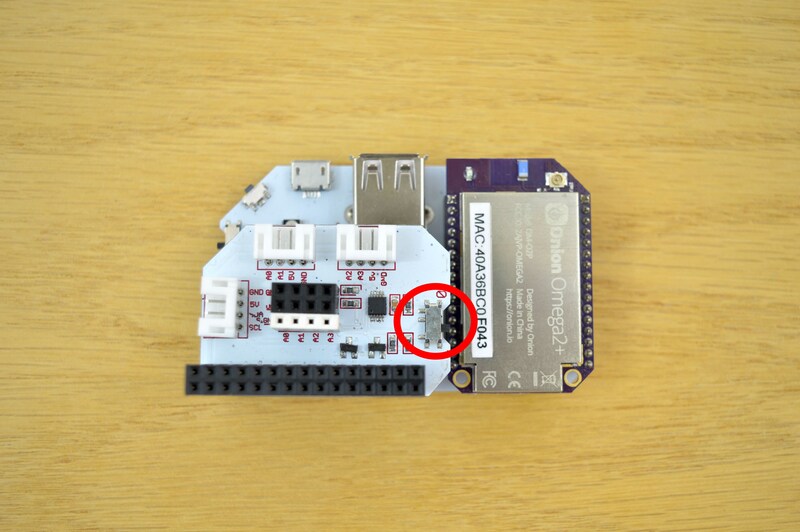 Remember, it’s important that a channel should be connected to an input source either through the header or the grove connector. Using both for a single input channel can cause damage to the ADC Expansion. 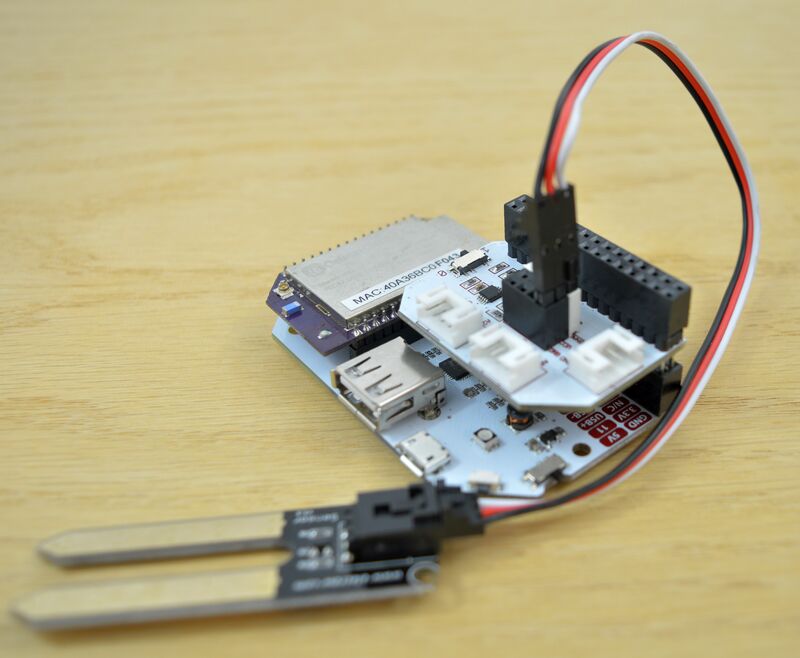 The ADC Expansion also includes a digital I2C grove connector, allowing for additional Grove sensors to be connected. There is a command line utility that is available to read analog inputs from the Omega’s Linux command line.